Hercules Scaffolding is a name that holds a long association with quality in the building industry. Working with a number of industries including the major utilities, the construction industry, telecoms, renewable energy and the insurance industry, we profile safe, high quality scaffolding which has the versatility for every application in business. Our service is multidisciplinary, covering all aspects of scaffolding from design and planning to erection and maintenance. Hercules Scaffolding have a long-standing reputation for customer service. We treat each and every customer as an individual and through our delivery service we aim to meet your needs and performance targets on a continuous basis. Our customer retention levels demonstrate that we are clearly a trusted contractor to a wide range of customers nationwide. – Our personnel are courteous, helpful and friendly at all times. – We deliver our services to the highest professional standards. – We offer a flexible service responsive to the individual needs of customers and ensure equality in the provision of our services. – We react quickly and effectively when a customer raises a query and to resolve problems. – We are passionate about customer service and share best practice learnt from one customer to benefit others. – We encourage feedback from all employees, customers and supply chain partners on a regular basis to continuously improve our services. Our nationwide team of surveyors and operatives come from a range of appropriate fields, which means that we will always have the right skills on hand in any given situation. Many of our staff have a share in our business, which means that it is in the interests of employees to act in the interests of our clients. Perhaps the main reason we are held in such high regard across the building industry is the exceptional standards which we work to. 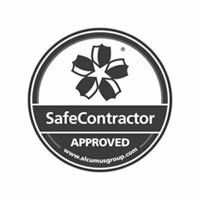 With multiple accreditations and site specific MSRA carried out before each job, you can be assured that your project will be handled with the utmost care and attential to detail. Get in touch with us now for scaffold designs, industrial scaffolding and more.